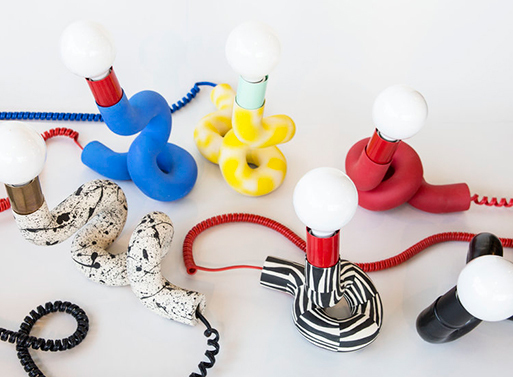 Tabletop noodle lamp. Cast porcelain and hand assembled. Lamp bases are between 8″-10″ long and 9″-14″ tall (including bulb). Available from Forage Modern Workshop, $320.00.